" This mask is painless, fits well, doesn't leak (if you have it loose enough), the best mask I've used. Better than the original Sleepweaver. " 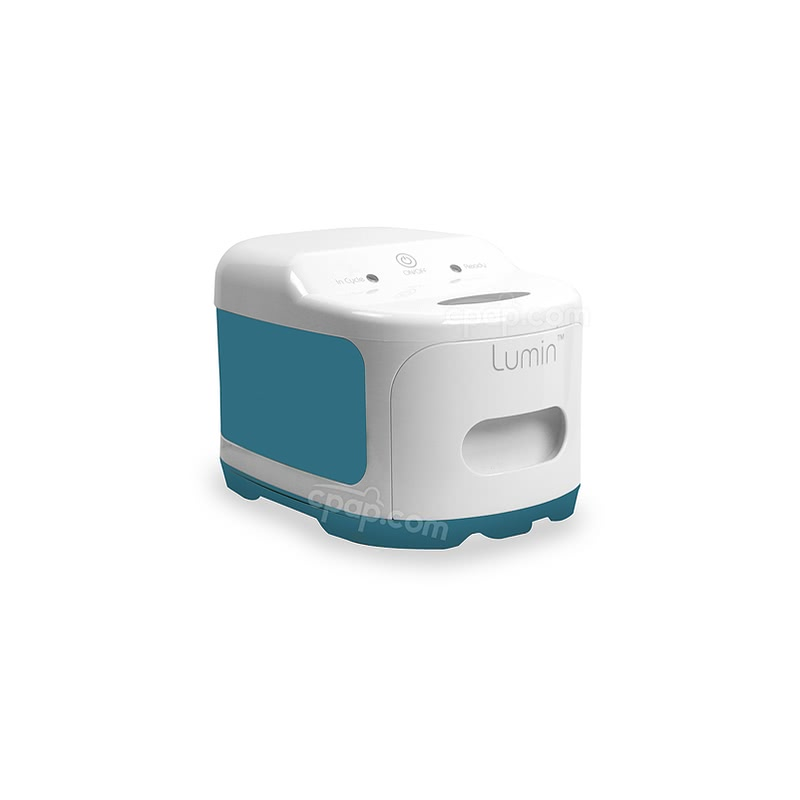 " Great product. I can sleep in any position. It doesn't blow air in my eyes. Very comfortable. " Looking for a replacement mask for the Single Size SleepWeaver Elan Soft Cloth Mask? This offering from Circadiance includes a single size cushion. 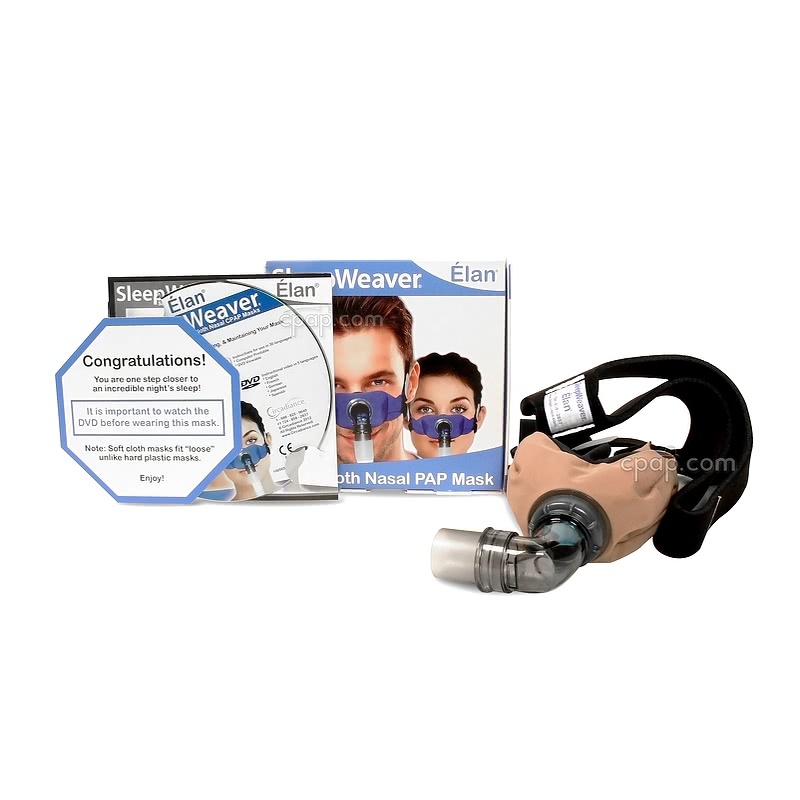 People new to SleepWeaver Elan are recommended to review the SleepWeaver Elan™ Soft Cloth Nasal CPAP Mask - Starter Kit. The Elan Starter Kit was created for people new to this mask as it includes all three sizes of the mask so that sizing is not an issue. 1% of Nasal Mask product buyers choose this product. Circadiance is the Cloth Mask Company and SleepWeaver Elan is the next innovation in its line. 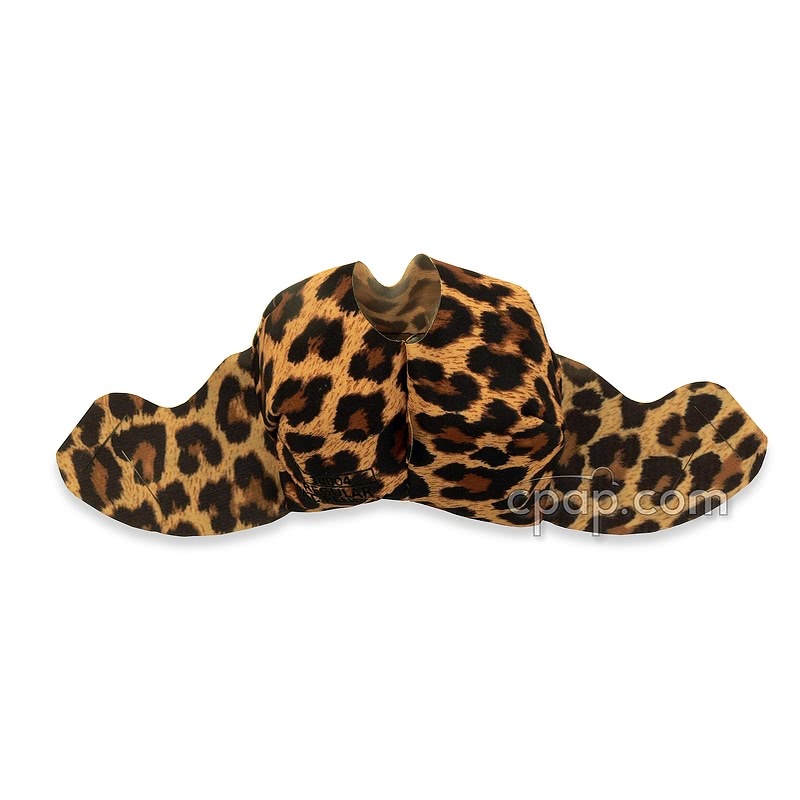 It offers a clear view and the comfort of a soft, breathable cushion made of lightweight material. 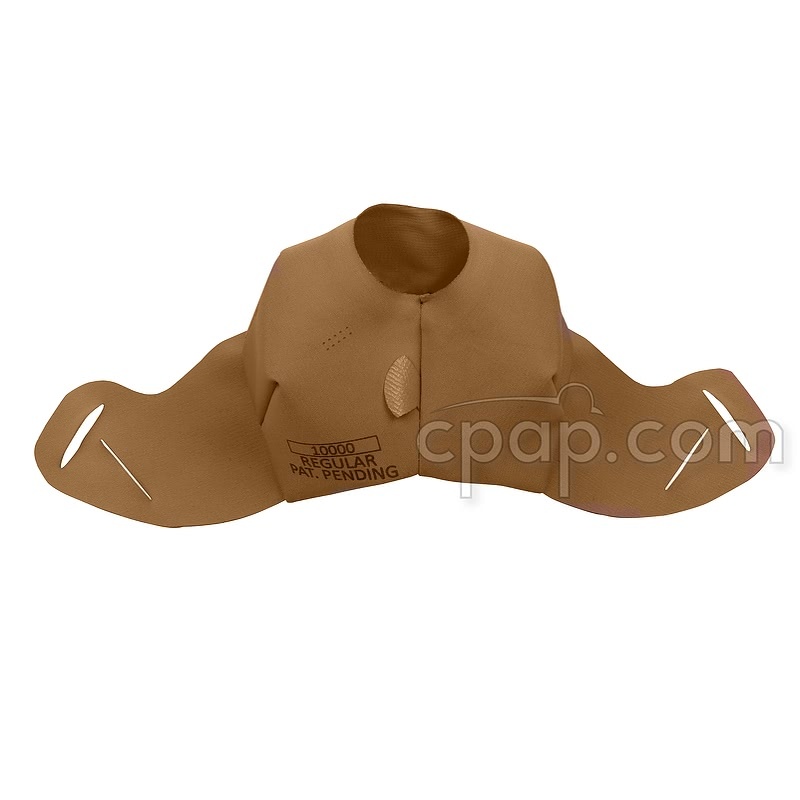 The SleepWeaver Elan CPAP mask uses a soft cloth cushion rather than hard plastic and sticky silicone. The cloth cushion inflates with the flow of air and "balloons" to seal around the nose. The bubble seal helps to omit facial pressure and red marks sometimes associated with traditional frames. The Elan mask cushion is a durable fabric designed to 'breathe', reducing trapped heat or moisture against the skin. When properly installed the cushion size label is on the bottom of the cushion. The adjustment tab at the center bottom of the cushion can be used to position and fit the mask. Shifting the cushion around the nose helps to position the mask for the best seal. The SleepWeaver Elan is available in three sizes - Small, Regular and Large and two colors - Beige or Blue. Select the desired size and color SleepWeaver Elan at the time of ordering. The cloth material of the mask is intended to be gentler on the skin that other mask types, helping alleviate sores and other irritation that can come from wearing a CPAP mask. 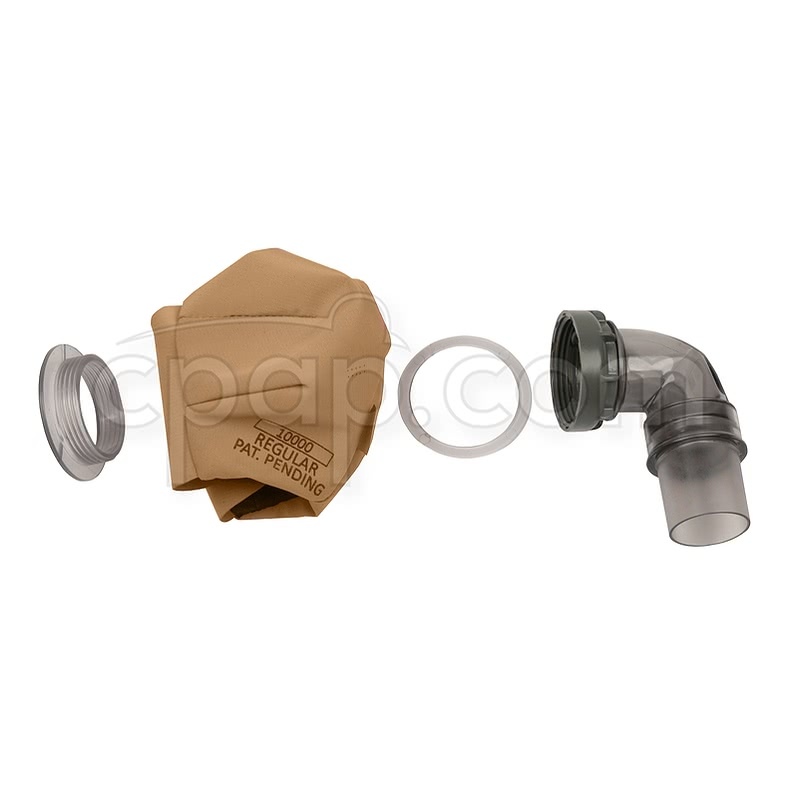 The cushion can be replaced to extend the life of the mask: Soft Cloth Cushion for SleepWeaver Elan Nasal CPAP Mask. The SleepWeaver Elan replacement cushion is available in all the popular SleepWeaver colors: beige; blue; beige, pink; camo and leopard. Select size and color of replacement cushion when ordering. 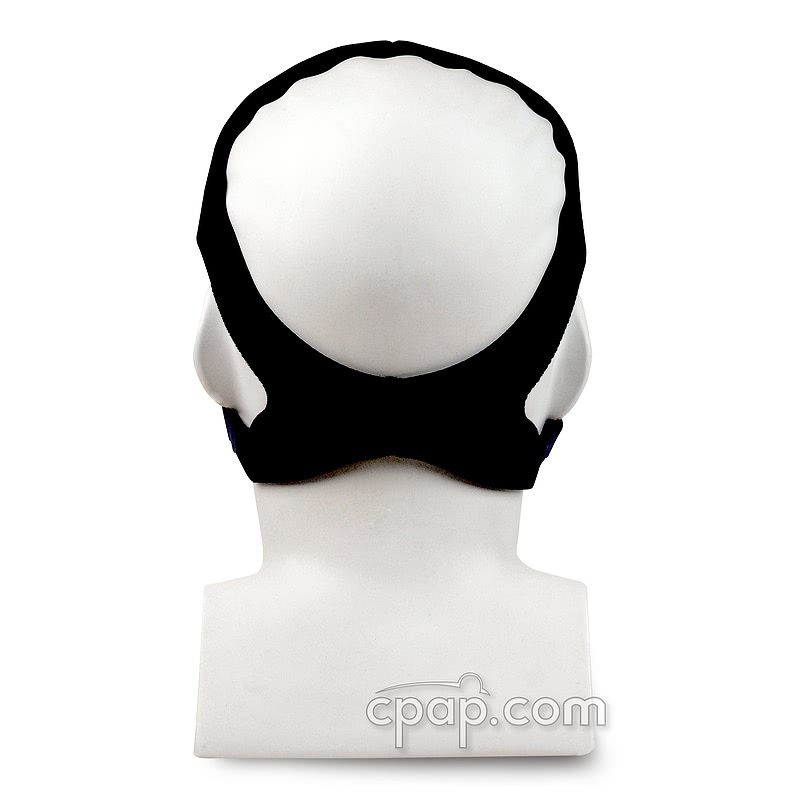 The Elan CPAP mask is supported by the headgear rather than a forehead support or strap. The open field of view makes getting ready for sleep by watching TV or reading is more comfortable and natural. The lightweight cloth mask makes for a more pleasant sleep experience. Circadiance offers this video on SleepWeaver Elan: Video. It includes information on how the soft cloth mask works as well as hints and tips on fitting. Circadiance extends a 30 day money back guarantee. 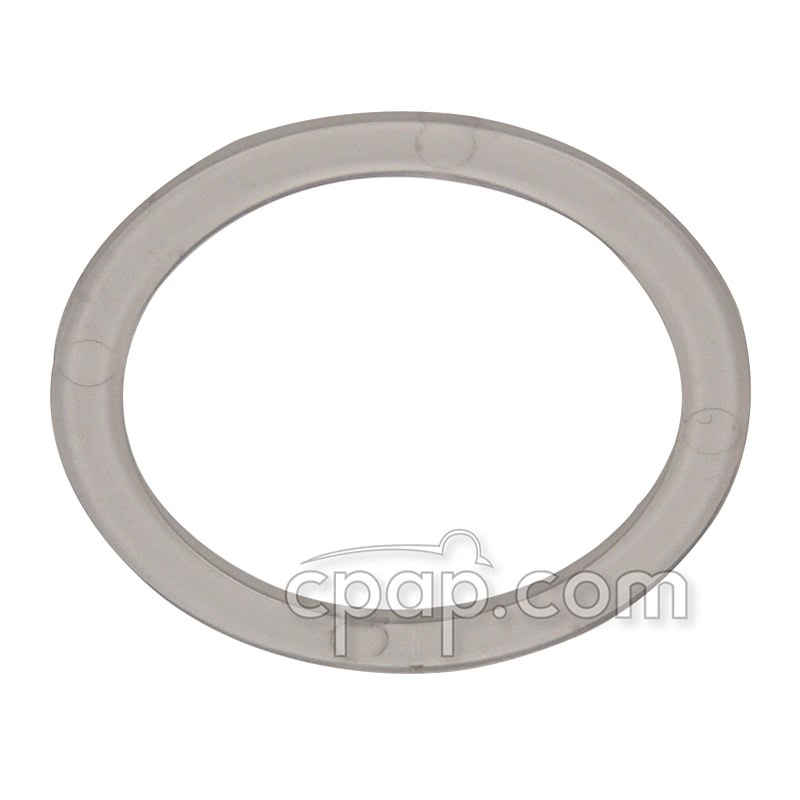 If not satisfied with the Elan contact CPAP.com for return information. 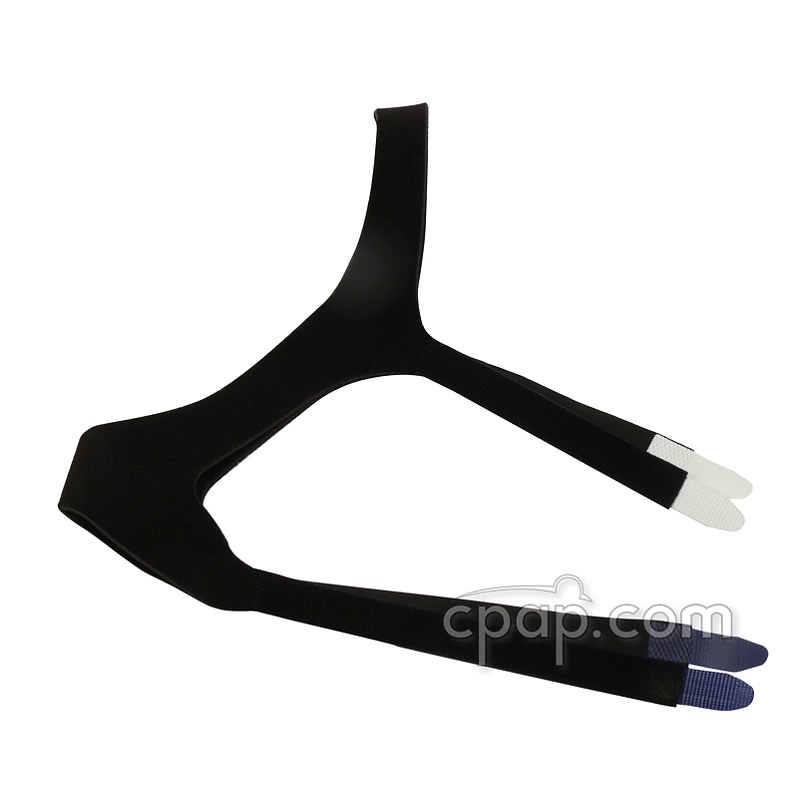 The SleepWeaver Elan CPAP mask is compatible the Feather Weight Tubing. The lightweight tubing connects to the elbow. 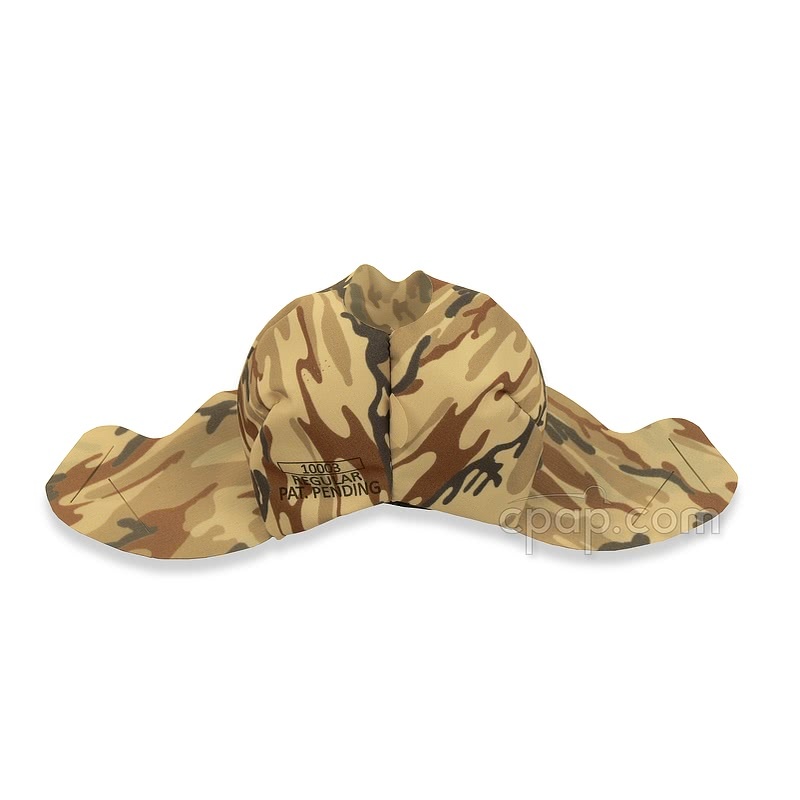 It is very flexible and reduces tugs on the mask which can disrupt seal during movement. The elbow rotates a full 360º allowing the hose to be positioned based on the preference of the user. The hose can pass down and across the chest; to either side of the head or up over the head. Material Content: The SleepWeaver Elan does not contain latex, silicone, plastic or gel material. The cushion is a blend of polyester, nylon and elastane. 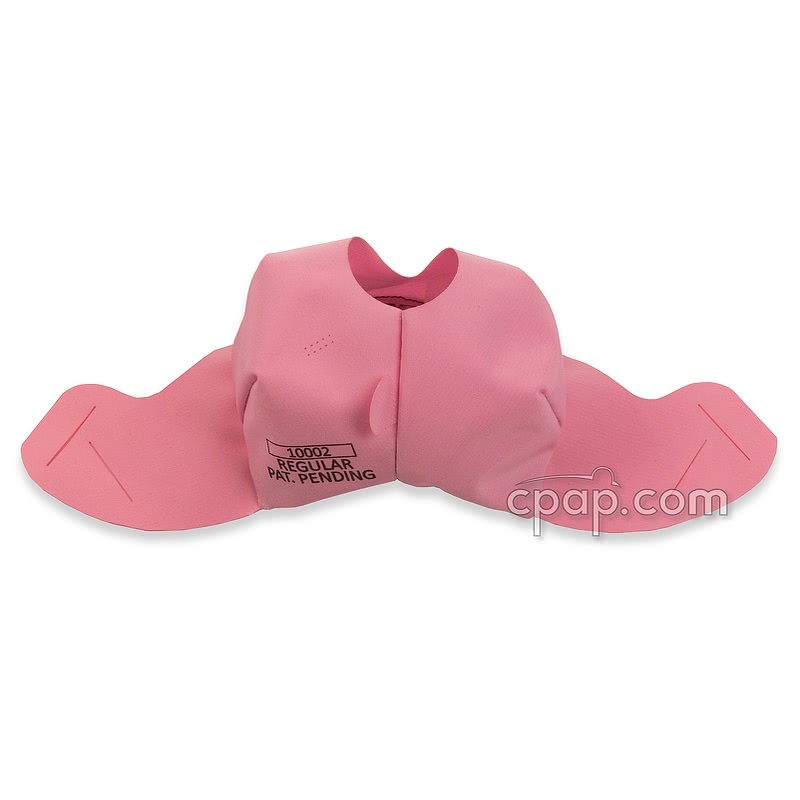 The headgear is a blend of polyurethane foam, nylon and lycra. The Elan cushion should be washed daily. The headgear should be washed weekly. Hand wash using warm water. Do not use hot water to clean the Elan. Use mild, low oil detergent that is not abrasive or anti-bacterial. 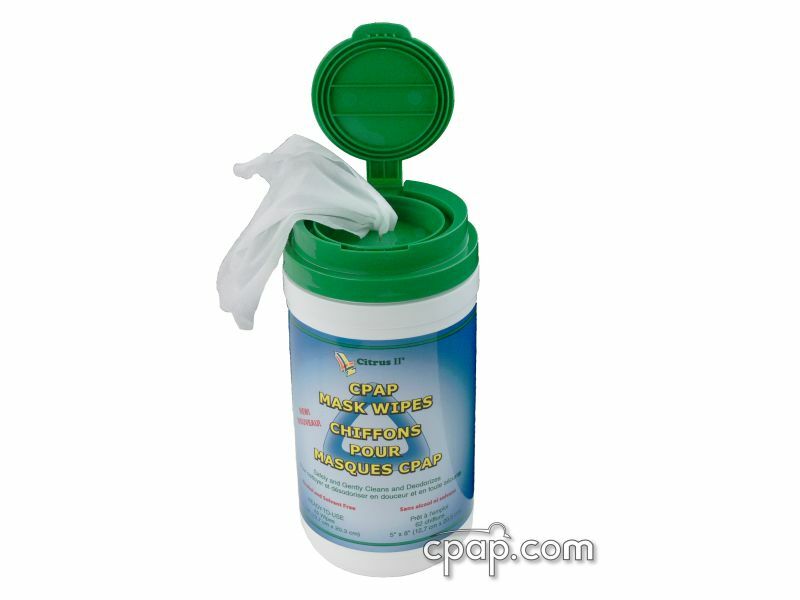 The manufacturer DOES NOT recommend the use baby shampoo to clean SleepWeaver mask products. Air dry, laying flat out of sunlight. DO NOT wash in a dishwasher or clothes washing machine or dryer in a clothes dryer. If desired, a small amount of mouth wash after washing and before rinsing. First step: Watch the product video on the "Videos & FAQ" tab of this page. Produced by the manufacturer, the video steps you through putting the mask on and addresses common fitting problems. 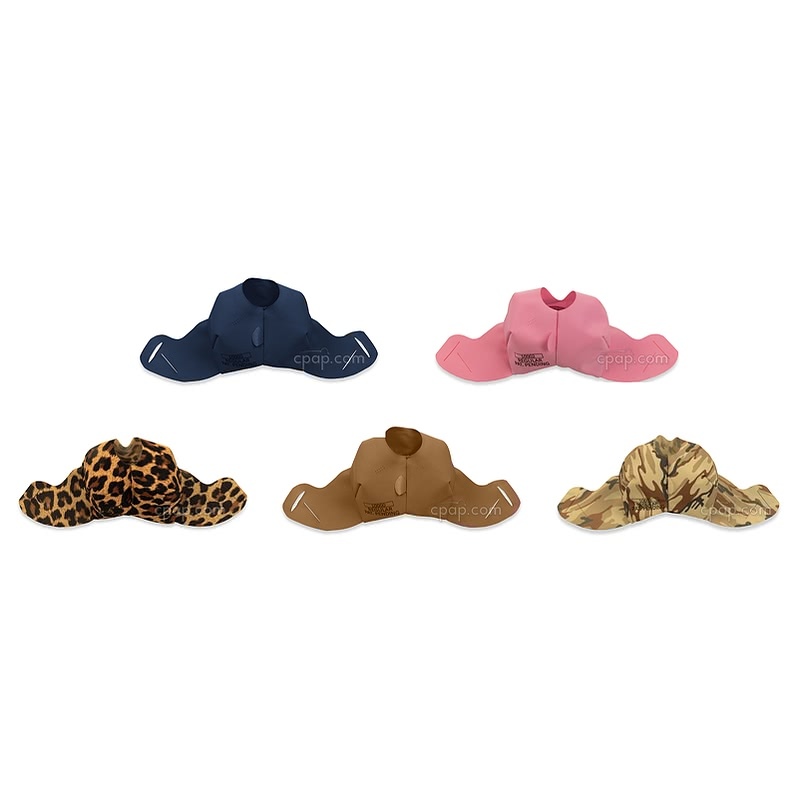 The Elan is different than plastic and silicone masks. The cloth cushion inflates like a balloon, if a leaks occurs it is generally due to the cushion not inflating as intended. Fitting around the nose: The Elan cushion should completely cover the nose to create a seal. A leak around the nose is likely caused by the cushion not being positioned around the perimeter of the nose. To address, pull the mask out away from the face and slowly bring the cushion back onto the nose. Next, wiggle the cushion from side to side to re-seat the mask correctly around your nose. Refer to the video to see the process. Fitting the top of the cushion at the eyes: When the cushion is inflated the black material should show along the top of the cushion. A leak at the eyes generally means the mask is not completely inflated causing the cushion to droop and slightly lift the top of the cushion. Using a heavy tubing that is going down across the chest and starting with a lower pressure or low ramp pressure can contribute to eye leaks. To help with those leaks, we suggest wearing the featherweight tubing in the up position using the tether strap. This will take the excess weight off the bottom of the mask and lifts it up, reducing the pull at the top of the mask which can cause leaks around the eyes. Assembling the elbow connection: After cleaning or changing the cushion the connections must be securely made to ensure the mask cushion inflates. Make sure the fabric is centered on the threaded connector as you place the wash and elbow in place. There should be no fabric edges showing. The fitting video shows easy steps to assemble the cushion to the swivel elbow. 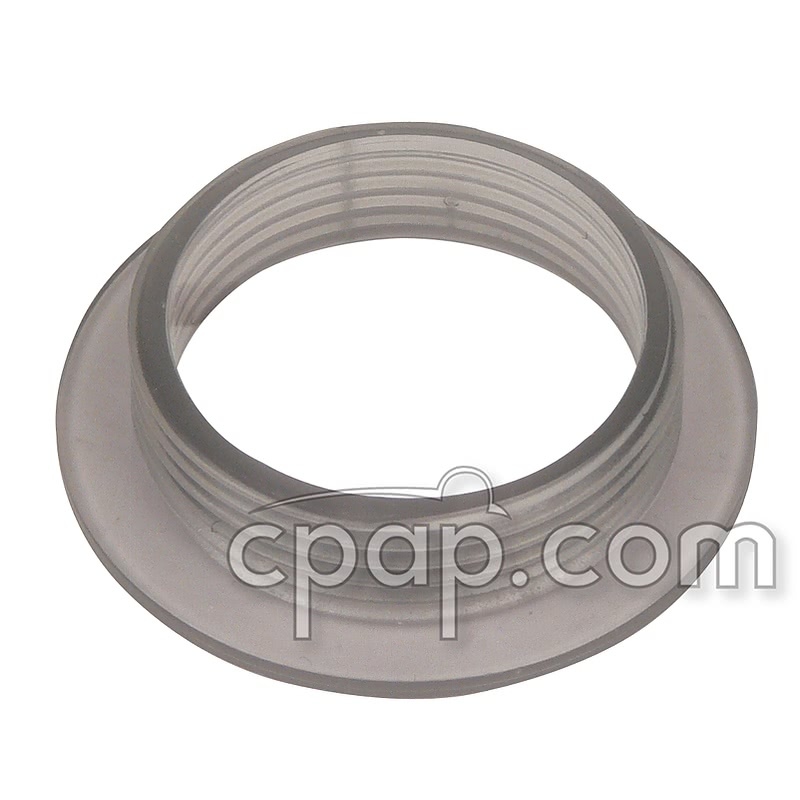 Experiencing a leak around the elbow connection is generally due to the washer being loose. Take the mask off and re-tighten the washer. If you continue to hear air leaking, remove the swivel elbow from the cushion and reassemble the cushion to the elbow. It is recommended that new users of the the SleepWeaver Elan purchase the SleepWeaver Elan Soft Cloth Nasal CPAP Mask - Starter Kit. It includes the Regular and Large cushions, Plus, for a limited time, a Small cushion can be added to the Starter Kit at no charge.. The Starter Kit with all three sizes of cushion gives the user all available options for fit and seal. To find the size of the SleepWeaver Elan™ Soft Cloth Nasal CPAP Mask, turn the mask to view the bottom of the cloth mask. 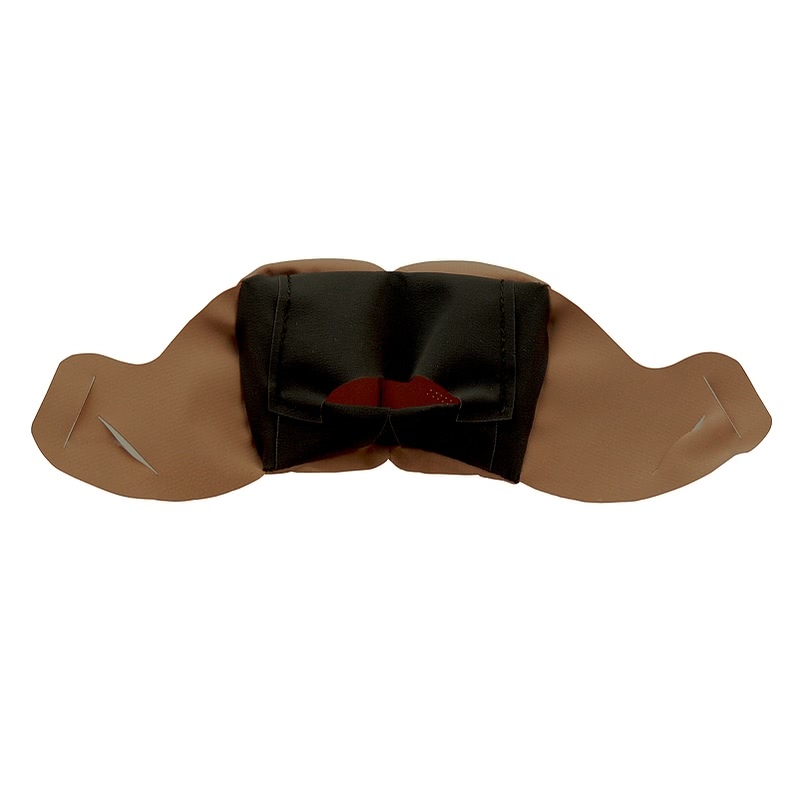 With the cushion flaps facing the user, the information can be found by looking to the left of the mask seam. The word "S M A L L," "R E G U L A R," or "L A R G E" will be written out depending on the size of the cushion. By purchasing the single size mask, the user will receive only one cushion in the size selected. Cushion Orientation - Which Way is Up? The size of the cushion is printed on the bottom of the cushion. Also, the adjustment tab is on the bottom of the cushion. Looking at the inside of the cushion you see a stretch adjustment insert, it is also at the bottom of the cushion. The printing, adjustment insert and tab should all be on the bottom, and worn nearest to the upper lip. 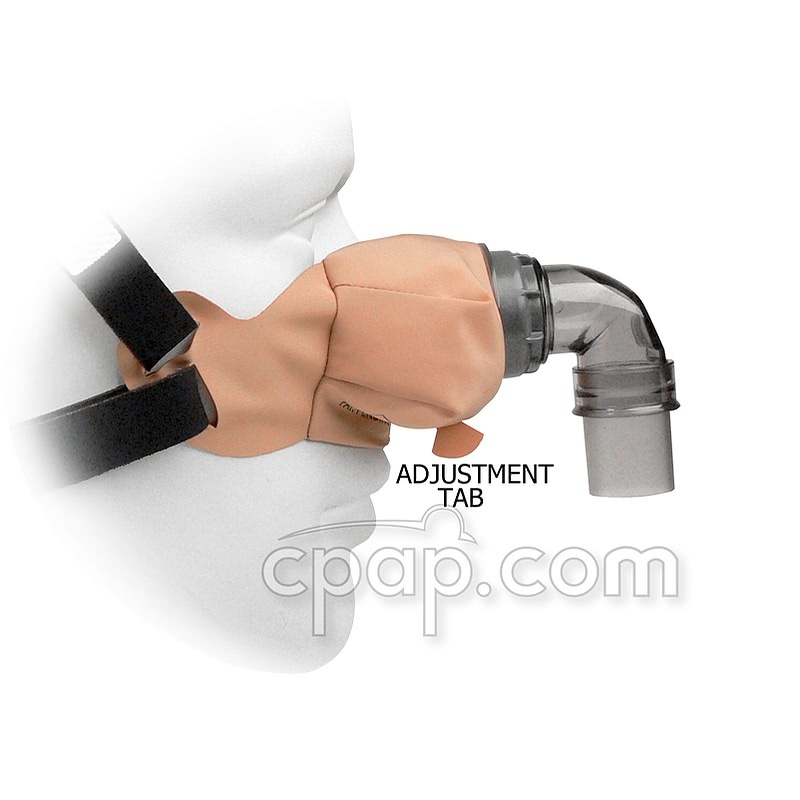 The CPAP.com product page includes an image that shows the cushion from the inside, the side the nose enters, to illustrate up and down for the Elan cushion. The SleepWeaver Elan headgear tabs are color coded for easy assembly. The two white tabs attach to the top slots which are parallel to the ends of the wing. The blue tabs pass through the wing slots that are angled on the wing. The SleepWeaver Elan is approved for use with pressures up to 20cm H2O. 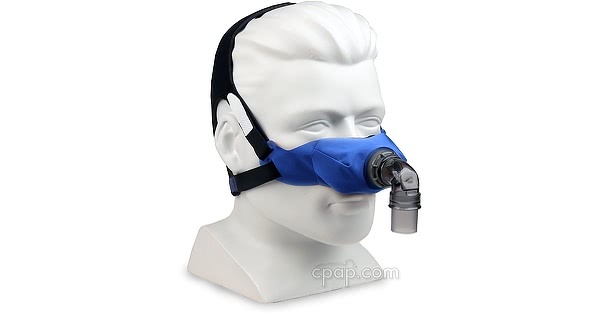 Testing done by CPAP.com showed that when using the Elan at a lower pressure of 4 or 5, a better seal is achieved and maintained if the hose is worn in the over-the-head position. The Elan headgear includes a tether strap to secure the Feather Weight Tube to the headgear. If a ramp feature starting at a low pressure of 4 or 5 is used, it is recommended to wear the Elan with the hose in the upright position to maintain a better seal at the start of therapy. The manufacturer recommends using a mild, non-abrasive detergent that is low in oil content and is not anti-bacterial to wash the SleepWeaver masks and headgear. Liquid Tide is one example of a mild, non-abrasive detergent product, however there are many other appropriate products available for use. Low oil soap must be used to maintain the SleepWeaver cushion. Circadiance does not recommend using baby shampoo to wash SleepWeaver masks. Further, most hand and pump soaps contain a high level of oil or lotion. 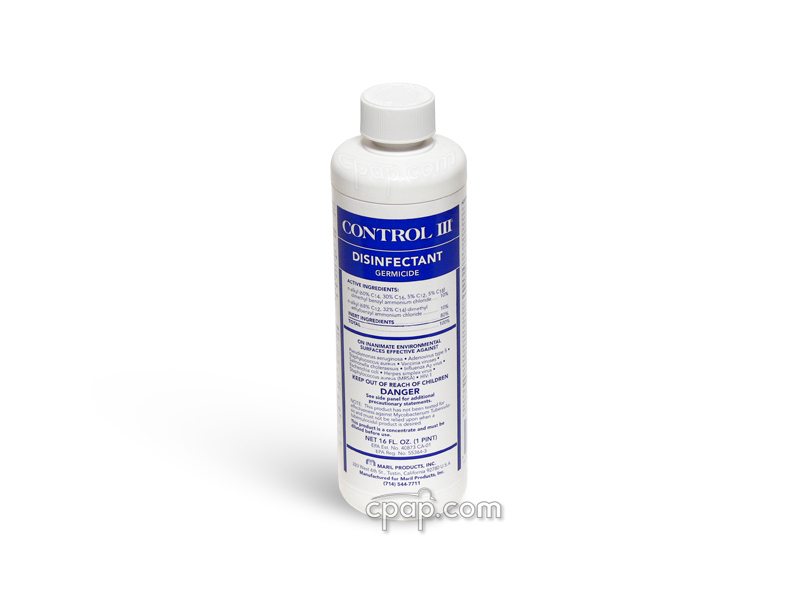 See the Specs Tab of this product page for a complete list of manufacturer approved cleaning methods. The Elan and headgear should be hand washed using warm (never hot) water and a mild, non-abrasive, low oil, non-antibacterial soap. Remove the elbow and rings before washing. After washing and rinsing, allow the mask to air dry, laying flat. Do not lay the mask in sunlight to dry. Do not place the mask in the clothes dryer. The manufacturer suggests washing the Elan cushion daily and the headgear once a week. 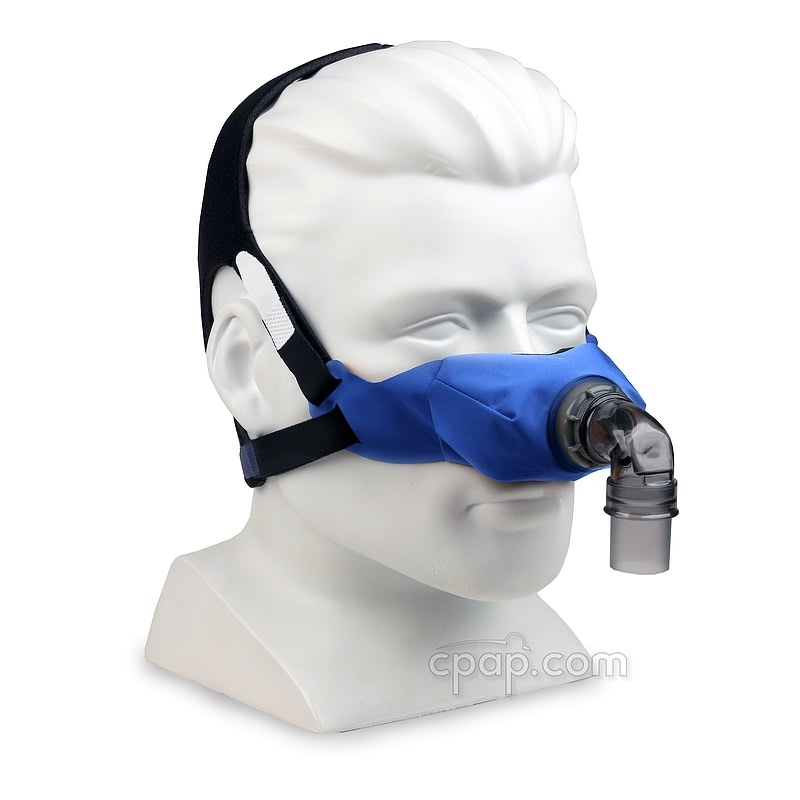 The SleepWeaver Elan™ Soft Cloth Nasal CPAP Mask is manufactured by Circadiance.